2. You will need to sign up for an account at http://intensedebate.com/. 4. Go to Settings | IntenseDebate. You will be presented with a login screen. Enter the account details for the account you created in step 2. 5. Once you have logged in, click Start Importing Comments. 6. The import process can take a very long time, even if you don't have many comments to import. 7. Once the import process is complete, you can tweak the settings to suit your blog—although I found the default ones were a good starting point. 8. The IntenseDebate Comments plugin has its own Comments caption, so you may want to remove the Comments header from the index.php file in your theme folder. 10. 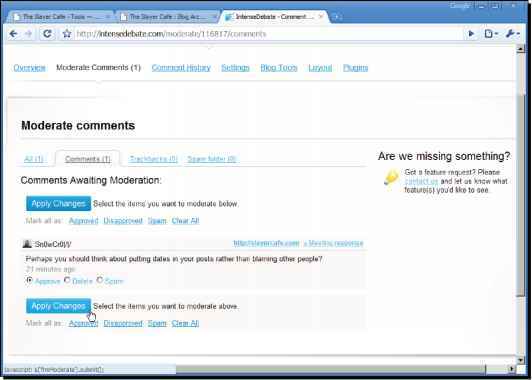 You can moderate comments using the already familiar WordPress MU interface or the dashboard on the IntenseDebate site. IntenseDebate is a commenting system that sits on top of WordPress and WordPress MU. It is ideal for all blogs, whether they are part of a blog network, or a standalone blog. 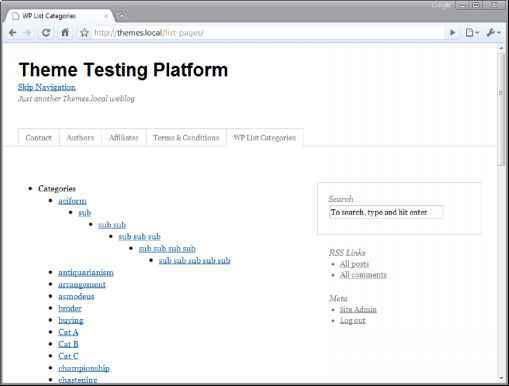 It does not replace the existing WordPress comment system; it only complements it. 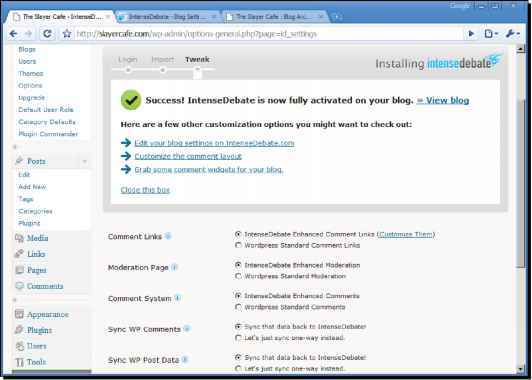 This means you can use IntenseDebate in conjunction with other plugins that rely on the WordPress MU comment system. IntenseDebate supports threaded comments. This makes it easy for readers to follow the discussions going on in the comments section. Readers can reply to the blog post itself, or reply to a specific comment, and IntenseDebate will break related comments into threads so that the discussion is easy to keep track of. Readers can comment anonymously, or, if they have an IntenseDebate profile they can log in to it and comment using it. 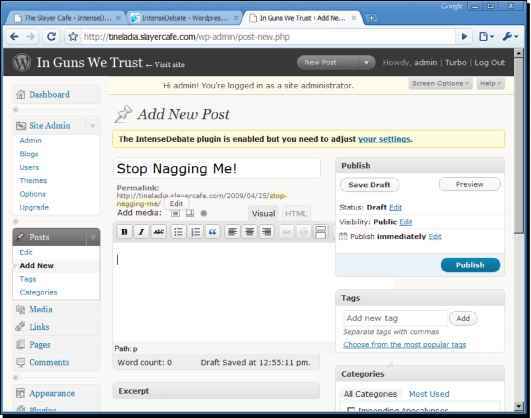 Any comments made will be stored in the WordPress comments database and also be sent to IntenseDebate. 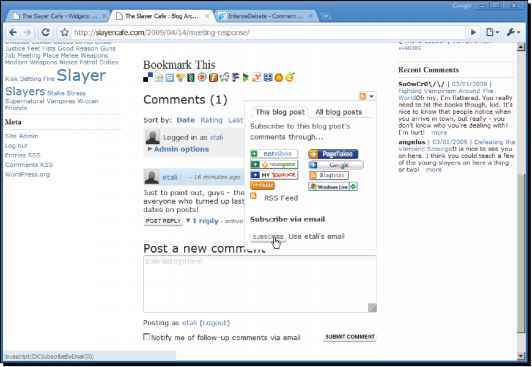 Readers can subscribe to comments on a particular post by email or through their favorite RSS reader. If they have an IntenseDebate account, they also have the option to send a Twitter message or "Tweet" to alert their friends that they have commented on a particular post. Another useful feature is the reputation system. Visitors can vote on comments, and comments that get a lot of negative votes will be hidden from view unless a user requests to see them. This is a handy form of "self moderation" for the community. The reputation system applies to only logged in users and gives each user an overall rating based on the quality of their comments on sites all over the Internet. One important thing to remember is that even if you set IntenseDebate to automatically activate for your users, it won't do anything unless they set it up. Your users will still have the original WordPress MU comment system. They will be alerted to the fact that the plugin is not working for them by a message that will appear at the top of every page in their admin panel. IntenseDebate has so many features that there is not enough room to cover them all here. Take a look at the Extras (http://intensedebate.com/extras) page for some widgets that you may want to add to your blog. Also, check the Settings page for your blog in IntenseDebate. You can edit the moderation settings on that page. The default settings include a list of spam words that will cause comments to be flagged for moderation. Comments will also be flagged for moderation if they contain more than two URLs. You can tweak the commenting system's settings to filter by IP address, email address, key words, and profanity. You can also alter how the comments are displayed, the text displayed when people report comments, the layout, and the location of the blog's RSS feed. You may want to change that to use the FeedBurner version of the RSS feed. What youll find in this report is the stuff that works. Laid out step-by-step in a way that eliminates confusion and information overwhelm. Youll know exactly what to do and when to do it. No guess work here. This is the manual I wish Id had when I was starting out. 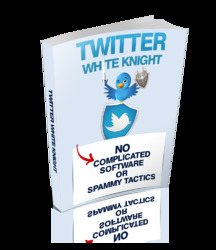 It would have cut my learning curve to almost nothing and had me bringing in floods of non-spam traffic within just hours of starting.